The IHMA Congress is the Official Event of the International Harbour Masters Association. 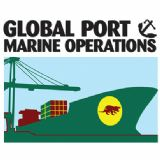 Covering Global Port & Marine Operations. The IHMA Congress will bring together IHMA members plus key decision-makers from the international maritime industry responsible for global port and marine operations at this leading port conference. The biennial IHMA congress provides a unique forum in which formal Association meetings are combined with a conference and an exhibition - displaying equipment, services and technical developments relevant to the ports and harbour sector and providing both local and international sponsors and exhibitors with a unique marketing platform.